Asphalt 9: Legends is here thanks to Gameloft for freely releasing this racing arcade game publicly ahead of July 26th, 2018 official launch date. This means you can now download Asphalt 9: Legends Apk and the OBB Data files on your Android as well as iOS Devices for those using iPhone and iPads for free. 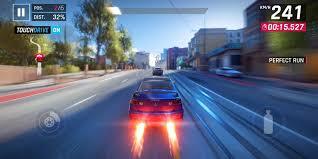 This latest version of Asphalt racing game succeeds Asphalt 8 Airborne but don't worry, I have added more details and information you need to know before going on to install this game. As a matter of fact, you will be among the first gamers to have a feel of what this official version offers because the ones you have been seeing online are modified versions commonly called Asphalt 9 Mod. So it's time to get in gear and take on the world’s best, most fearless street racer pros to become the next Asphalt Legend – from the creators of Asphalt 8: Airborne. You have the luxury to select from new set of licensed vehicles (about 50 of them), new tracks and locations. There is a drastic improvement of graphics with new visual features thrown in and some new online features such as 7 people multiplayer mode and ability to form clubs with other players. Interesting right? Prior to the official global release, the game had a soft launch in a few regions but is now being released worldwide for free Download although it contains ads at some stage. 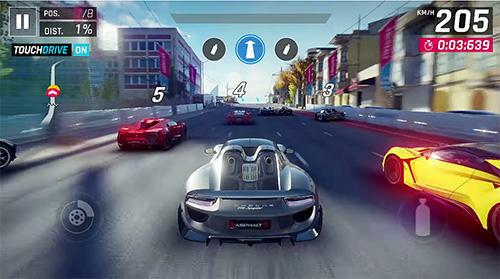 From the released app description on play store, Asphalt 9: Legends features a top roster of real hypercars for you to drive that is unlike that found in any other game, from renowned car manufacturers like Ferrari, Porsche, Lamborghini and W Motors. You’re free to pick the dream car you need and race across spectacular locations against rival speed machines around the world. Hit the fast track and leave your limits in the dust to become a Legend of the Track! Have a glimps of the game play via this sample video of Asphalt 9 legends below. ✔️ For iOS Users, Download the Game Here. You need to make sure you have at least 1.8gb of data on your phone and enough space to download this game else it may hang on the way. This is because the game size is huge at about 1.7gb. Once you hit the download link, the game files including OBB and data files will be downloaded and automatically saved in the right folder on your phone. After installing the Apk (for Android users) tap on it to launch the game and enjoy the awesome game play. It should be available for windows users on PC in coming days. Kindly bookmark this page or save it in your browser for future reference as it will be updated with latest information.